The beautiful countryside around Wilmington, DE is like a playground for adults. Take advantage of living in this incredible region, and hit the road this summer to take a tour of the local wineries. One great place to start is with the Brandywine Valley Wine Trail, which can help you plan your visit to a handful of must-see wineries — and must-taste wines! Please remember to designate a sober driver during your tour for your safety and the safety of everyone on the roadways. Don’t live in the area yet? Before you take a tour of the local wineries, you can schedule a viewing of new homes in Wilmington. Montchanin Builders offers homes designed specifically for modern couples and families. This conveniently pre-planned route includes six wineries, all located within an easy 50-mile drive of each other in beautiful Chester County, PA. Each of them is open year-round. Old Stone Cider is a family-run orchard. They pride themselves on growing heirloom apple varieties to produce their hard cider. Kreutz Creek Vineyards is owned and operated by a couple who have been producing superb wine since 1989. They specialize in dry white, dry red, and semi-dry wines. Borderland Vineyard is operated by a brother and sister team who restored their family farm and transformed it into a winery. They offer tasting room hours on Fridays, Saturdays, and Sundays, as well as by appointment. Wayvine Winery & Vineyard is a 260-acre farm with 16 acres of hand-planted grapes. The winery welcomes guests as if they were family. Say hello to Nancy Wilson, the family’s mother, when you visit the tasting room on Fridays, Saturdays, or Sundays, or by appointment. 1723 Vineyards is owned by fifth-generation farmers who are passionate about great wine. Stop by for a tasting on Saturdays or on Sundays by appointment, and ask about the historic origins of their unique name. Paradocx Vineyard specializes in marrying handcrafted secrets with modern technology to produce some remarkable vintages. Their wine tasting room is open Fridays, Saturdays, and Sundays. Located a hop and skip away from Wilmington in Centreville, Collier’s of Centreville offers a can’t-miss, free wine tasting on every Saturday! Be sure to check their website to find out about the upcoming wine tasting themes, as well as their other events and classes. Collier’s is known for sniffing out exceptional wines from the far corners of the globe. If you’d love to become more knowledgeable about wine and how to enjoy it, Collier’s wine school is the right place to start. These great wineries and restaurants are just one of the many cultural opportunities you’ll enjoy as a Wilmington resident. Contact Montchanin Builders today to schedule a tour and find out about the financing options available on our new homes. Our new construction Wilmington homes are ideally situated in our masterfully planned communities of Darley Green and The Overlook at Rockford Falls. Get in touch at 302.472.7212 today and ask us how you can get $15,000* toward your closing costs! The official start of summer is just around the corner, which means it’s time to start planning a weekend getaway for the whole family. If you’re fortunate enough to live in the Wilmington area, there are tons of enticing options that make for an easy day trip or weekend escape. Whether you’re a nature lover, a history buff, or simply love the great outdoors, here are five weekend getaway options that are sure to please. Nearly 15 miles of scenic trails wend through Brandywine State Park, a local treasure in the Wilmington area. This 933-acre nature preserve provides amazing chances to see songbirds, deer, and other local wildlife. The park is open daily from 8AM and to 4PM and is a popular place for families to enjoy a picnic among fields of wildflowers, hike through picturesque landscapes or try their luck fishing for small mouth bass and crappie in Brandywine Creek. 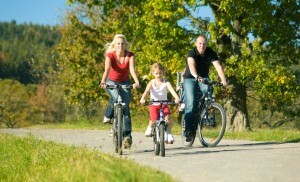 Amenities include an onsite nature and visitor center, potable water, picnic areas, bike trails and a disc golf course. Rehoboth Beach is a short two-hour drive from Wilmington and boasts an exciting array of restaurants, charming cottages and B&B’s, as well as family-friendly activities. The oceanfront boardwalk often hosts free concerts, and the warm waters are brimming with folks sailing, kayaking, paddle boarding and surfing. If water sports aren’t your thing, there are tons of other things to do in Rehoboth Beach, like tax-free shopping, dining on fine foods, and letting loose at Funland amusement park, where kiddie rides and games will keep the little ones entertained. Don’t miss a visit to Jungle Jim’s, where bumper boats and water slides await! Renowned for its fantastic birdwatching, Bombay Hook National Wildlife Refuge is well worth the drive to Smyrna. This refuge encompasses 16,000 acres and includes pristine marshlands and cordgrass meadows that are home to great blue herons, egrets, geese, songbirds and raptors. Bring your bike to explore a 12-mile wildlife loop, or take the auto tour for chances to spot migrating birds, mammals and reptiles in their natural environment. A visitor’s center offers interpretive programs, or you can plan a day of leisurely hiking at your own pace. Home to DogFish Head Brewery, the historic town of Milton offers much more than amazing craft beer! When you’re not sampling some of the tastiest IPAs this side of the Mississippi, or learning about the process of making artisanal beer, the quaint downtown area promises great shopping and dining and a nice selection of day spas for some much-needed pampering! Milton is also close to the Broadkill River, where families can enjoy an afternoon of water recreation. Access to family-friendly attractions and points of interest are just one of the many benefits of living in one of Montchanin Builders’ beautiful new home communities, including The Town of Whitehall, Darley Green and the upcoming The Overlook at Rockford Falls. Now is the time to consider a new home in Delaware. Contact us today to learn more about our attractive financing options for first-time buyers. Montchanin Builders is one of Delaware’s premiere residential builder, offering families throughout the greater Wilmington area an opportunity to put down roots in a home they can truly be proud of. Noted for their award-winning designs, forward-thinking architecture and thoughtful attention to detail, Montchanin Builders has brought local residents several sought-after communities, including Darley Green, The Town of Whitehall and Shipley’s Circle in North Wilmington’s Brandywine Hundred (which has now completely sold out). If you missed the chance of enjoying the quality craftsmanship and modern amenities which characterize the beautiful single family homes of Shipley’s Circle, we have exciting news! Montchanin has embarked on another unique and innovative community that is sure to please discriminating home buyers who want the ultimate combination of luxury living and a highly sought after location. Imagine living just minutes from local attractions like the Delaware Museum, or waking up to the spectacular view of Brandywine Creek just steps from your door. You can have it all at Montchanin’s latest community: The Overlook at Rockford Falls. The historic Bancroft Mills site, noted for its picturesque scenery, is the backdrop for this exclusive community of luxury townhomes, each of which will feature 3,000 square feet of living space. 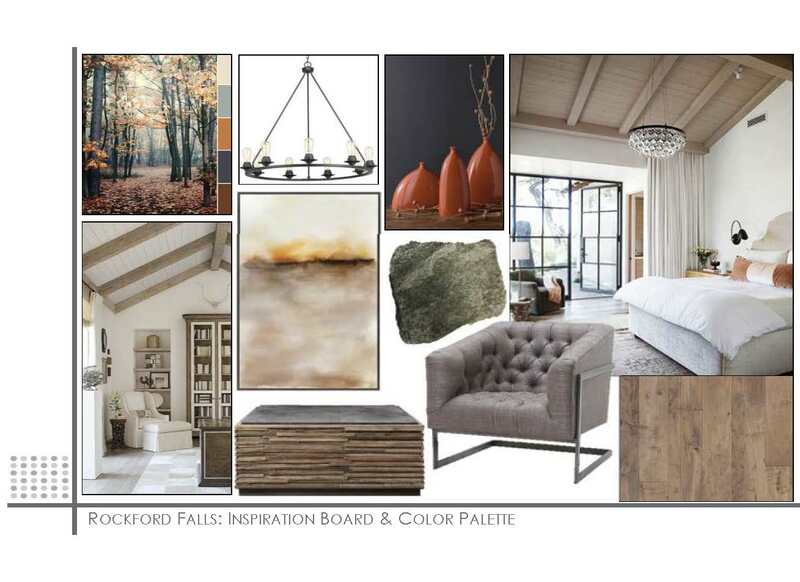 This privileged address in the Rockford Falls community promises homeowners a multitude of perks, including glorious river views, access to trails and state park land, and the peace that comes with owning a home built with precision and care. The new townhomes at The Overlook at Rockford Falls are only in presale, but those who are interested in learning more about floorplans, price points and other pertinent details are welcome to join our VIP list for updates on community preview events! Like all of our communities, The Overlook at Rockford Falls was developed to offer residents innovative designs and floorplans that offer flexibility and convenience, whether you’re just starting a family or are looking for the perfect home to spend your retirement years. The Overlook at Rockford Falls boasts luxury living with extraordinary conveniences right at your doorstep. If you’re in the market for a new townhome in Delaware, we encourage you to contact us soon to learn more about this exceptional opportunity to put down roots in the scenic Rockford Park community. Springtime in Delaware is one of the most delightful times of the year, marked by warmer temperatures, longer days and tons of colorful markets, festivals and events designed to celebrate nature and the great outdoors. If you’re fortunate enough to live in New Castle County, here are 5 Spring events that you shouldn’t miss! Nothing says Spring has arrived like wildflowers in bloom. On Sunday, April 23rd the Mt. Cuba Center will be hosting its annual celebration of Spring, featuring garden demonstrations, live music, family activities, and of course, opportunities to stroll through the magnificent gardens. If you’re interested in attending the Wildflower Celebration, the doors open at 10 AM, and the first 1,000 guests will be given a free native plant! Delaware is famous for its pristine coastal wildlife preserves, which provide safe habitat for hundreds of avian species like the Black-necked Stilt, the Prothonotary Warbler and the Black Skimmer. For some of the year’s best birdwatching opportunities, join the Spring Delmarva Birding Weekend, now in its 22nd year. The birding trip on the Delmarva Peninsula will be held April 27-30, and features hiking and boating experiences with chances to spot migratory waterfowl, songbirds and raptors. Held at the Baronage Farm in Townsend each year, the Delaware Herb Festival celebrates the culinary and medicinal uses of herbs with hands-on instructional classes. Want to learn how to make a healing poultice or discover the best aromatics for spicing up your meals? Don’t miss this festival, held on Saturday April 29, from 10 AM to 5 PM. Whether you’re an animal lover or a budding naturalist, this event offers an exciting behind-the-scenes peek into Newark’s amazing Tristate wildlife rehabilitation center. Held on May 7, from 11 AM to 4 PM, this family-friendly event promises chances to meet raptors up close, learn how baby birds are cared for, and make a valuable contribution to the ongoing efforts of this non-profit organization, which helps more than 2,500 wild birds every year. The Open House will also have food vendors, baked goods, and Mother’s Day gifts available for purchase. Widely considered the signature Spring event in Brandywine Valley, Winterthur’s Point-to-Point offers something for the entire family, including tailgating, professional steeplechase racing and loads of kid-friendly activities. There will be fancy hats, face painting, pony rides and a delicious brunch! Don’t miss this elegant yet wildly fun Delaware Derby, held on May 7. As you can see, the Wilmington area is brimming with entertaining and educational activities designed for the young and young-at-heart. To learn more about the joys of Delaware living in a Montchanin Builders’ home, we invite you schedule a tour of our flagship communities, including Darley Green, Shipley’s Circle and The Town of Whitehall. September 22 marks the first official day of autumn – a season filled with crisp temperatures, harvest festivals galore, and brilliant displays of fall foliage. If you’re lucky enough to call Delaware home, then you’re already familiar with Mother Nature’s gorgeous autumn glow, which peaks around mid October. 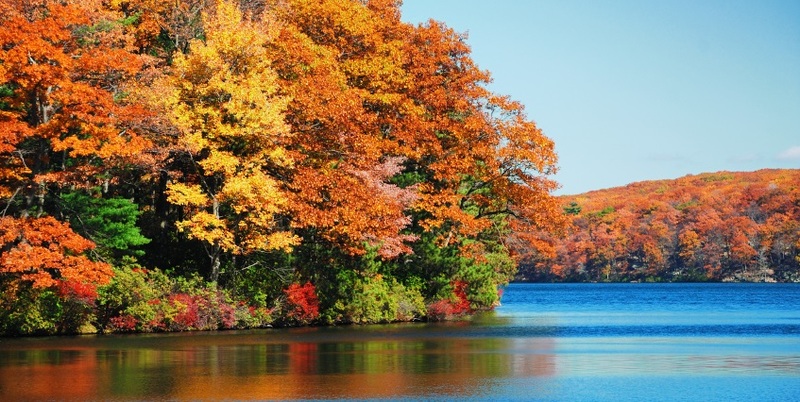 As you’re enjoying the change of season this year, why not plan a daytrip or weekend getaway to savor the autumnal beauty that radiates from Delaware’s picturesque parks, scenic byways and historic attractions. Here are 5 exceptional fall foliage destinations located right in Wilmington and the Brandywine Valley! Experience the magic of Autumn’s colors at Longwood Gardens, where miles of trails meander along meadows, gardens and woodlands brimming with ancient trees. This public garden spans more than 1,077 acres and is a favorite among Delaware residents (and tourists) who appreciate horticultural displays, performing arts, and of course, taking in the red and golden hues of fall’s changing colors. This annual autumn display and accompanying Chrysanthemum Festival attracts thousands of visitors each year – don’t miss out! Your fall expeditions should include a road trip on this national treasure – the Brandywine Valley Scenic Byway which stretches from Wilmington to the Pennsylvania state line. Take a journey through gently rolling hills, past covered bridges, historic DuPont mansions and stunning fall foliage, with plenty of chances to stop and explore. Situated just outside of Hockessin, DE, the Ashland Nature Center is a picture-perfect spot to take in the wonders of the autumn season. The center boasts more than 130 acres of meadows and woods, where well-tended hiking trails promise hours of quiet contemplation with nature. Celebrate the harvest season with family-friendly events and festivals at Ashland Nature Center. There are few better places to relish Delaware’s red and orange-hued autumn delights than on a trip aboard the historic Wilmington and Western Railroad. Every fall, the railroad features an Autumn Leaf Special train ride through the Red Clay Valley to Mt. Cuba. The 90-minute trip is held on weekends from October 8, 2016 – November 6, 2016. This 178-acre park is inconspicuously tucked right in the heart of Wilmington, offering a wonderful respite from city sounds and sights. It’s also a fabulous destination for autumn leaf viewing, whether you’re biking, hiking, or taking Fido for a walk. This expansive urban park has formal gardens, forested trails, a sports stadium and the Brandywine Zoo. This harvest season you can immerse yourself in the vibrant landscapes and tranquil settings found throughout the Brandywine Valley and Wilmington area –just another reason we love to live, work and play in beautiful Delaware! For more information about new Delaware homes by Montchanin Builders, we invite you to call our sales office today. Our team is proud to offer luxurious townhomes, single family estate homes and move-in ready condos in walkable communities that put the “neighbor” back in neighborhood. Contact Montchanin to schedule a home tour today! It’s back to school time across the country and parents in the Wilmington, DE area have a special reason to celebrate: They’re raising their kids in one of the most family friendly places around. Ask any resident walking around downtown Wilmington what they like best about this location and you’ll likely hear a variety of answers: the incredible school systems, the beautiful nature trails and open spaces, the public library, and the wealth of enrichment opportunities, just to name a few of the many benefits of raising a family in Wilmington. If you’re considering a move to Wilmington and you have kids or you’re planning your family, then finding a great school is likely at the top of your priority list. 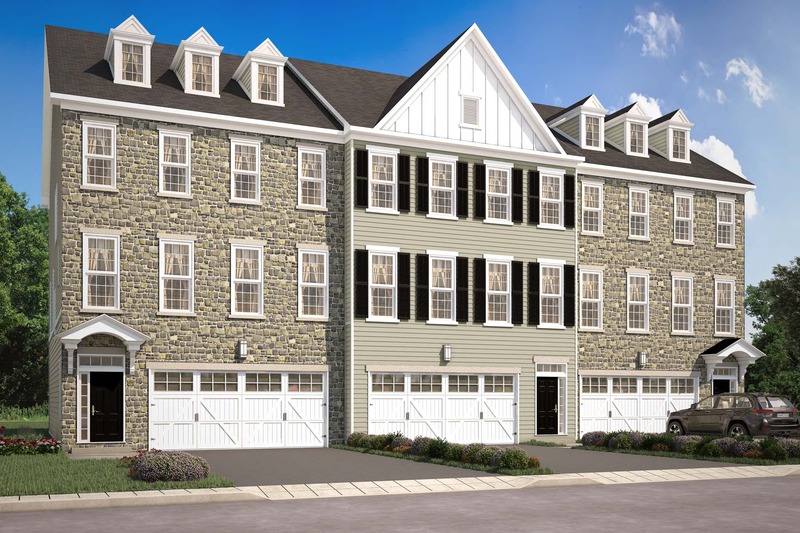 The master-planned community of Darley Green is located within the Brandywine School District, which is widely known for its superior academics. Darley Green is also right next to Archmere Academy, a private Catholic college preparatory school. Archmere Academy engages students in carefully designed classroom spaces with a rigorous curriculum and a dedication to academic excellence. Other excellent choices include the distinguished Wilmington Friends School, which supports creativity, critical thinking, and collaborative efforts within a stimulating and nurturing academic community. The Charter School of Wilmington was founded in 1996. At the time, it was one of the first independent public charter schools in the country. This charter school emphasizes a STEM curriculum (science, technology, engineering, and mathematics). It isn’t just the dynamic school communities that make Wilmington such a great place to raise a family. 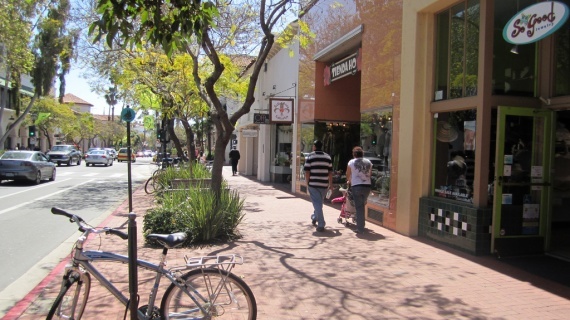 The area is home to a diverse range of educational and family friendly recreational opportunities. On the weekends, many area families love to visit the Brandywine Zoo. It’s spread over 12 scenic acres and allows kids to explore all corners of the globe right from their hometown. The Delaware Children’s Museum is a great way to spend a rainy afternoon; it offers hands-on activities that are so engaging that kids won’t realize they’re learning! The Museum of Natural History introduces children to dynamic ocean exhibits and life-sized dinosaur exhibits. Just a short drive away from the Museum of Natural History lies the Winterthur Museum, Garden and Library. Pack a picnic lunch to bring to its Enchanted Garden and watch as your kids run around the Faerie Cottage and Tulip Tree House. In seasonal weather, your family can sail aboard a pirate ship (the Kalmar Nyckel) or take in a Blue Rocks game. When it’s time for lunch, stroll along the Riverfront Market and choose from vendors offering sushi, Thai food, pizza, or cheesesteak. Over the years, Montchanin Builders has earned a sterling reputation as being premier home builders and developers in the Wilmington, DE area. Our beautiful, move-in ready homes and condos are only part of what we do. We create masterfully planned neighborhoods where families can raise their children. Contact Montchanin Builders at 302.655.2600 to find out more about our family-oriented Delaware communities. Boasting a prime location between Washington D.C. and New York City, Wilmington and the Brandywine Valley are perfect wedding destinations for family and friends arriving from all over the east coast. Whether you’re dreaming of an intimate garden reception or a 300-person gala, a wedding in picturesque Delaware will be one that your guests rave about for years to come! From casual ceremonies to extravagant affairs, wedding venues in and around Wilmington offer elegance, charm and luxury — and can even please the most demanding of bridezillas. Guests have easy access to this central location in the Mid-Atlantic, whether arriving by train, plane or car. Wilmington and the Brandywine Valley are brimming with a huge variety of dreamy wedding venues, from the modern to the historic. Here are just a few that garner stellar reviews. 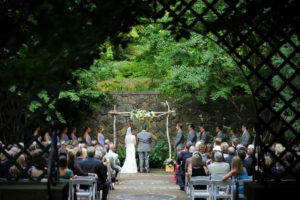 The Grand Mansion Wedding & Reception: Winterthur Museum & Country Estate is the ideal stage for any wedding given its romantic landscapes, gorgeous gardens and breathtaking mansion. This DuPont family estate offers four unique facilities for your big day, which can accommodate anywhere from 250 to 1,000 guests. Couples can also avail themselves of Winterthur’s award-winning in-house caterer, renowned for their sophisticated cuisine and personalized service. Luxurious Hotel Ceremony: If you’re looking for a refined backdrop on your wedding day, the Hotel du Pont features one of the most elegant, romantic venues in Delaware. For more than a century, this world-class hotel has been hosting unforgettable celebrations at the most prestigious address in downtown Wilmington. Expert wedding planners and chefs help customize your DuPont wedding celebration, ensuring the event is flawless from start to finish. Intimate Farmhouse Gathering: Billed as Delaware’s hidden gem, The Farmhouse is nestled on a sprawling country estate between Wilmington and Newark. This historical venue features two gorgeous outdoor ceremony sites, four acres of manicured gardens, and fresh, gourmet cuisine prepared onsite. Choose your favorite Farmhouse wedding package, each of which includes a professional planning coordinator, a five-hour dinner reception with open bar and one complimentary night at the Christiana Hilton for the lucky wedding couple. Elegant Country Wedding: Straight from the pages of your favorite bridal magazine, Brandywine Manor House is a heavenly wedding venue located in Chester County. This circa 1740 manor is flanked by meadows, country gardens and a lake – all of which provide a spectacular backdrop for your special day. If you want a rustic yet elegant wedding, this venue fits the bill and also offers lighted gazebos, waterfalls, footbridges and an arbor. Wilmington’s historic and cultural treasures offer much more than just stylish wedding venues: the city has transformed into a vibrant place that families, singles and retirees are proud to call home. Home to award-winning schools, nature museums and kid-friendly parks, the Wilmington area is a great place to raise family. 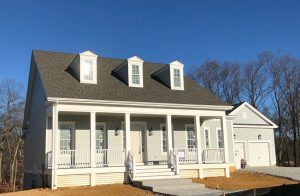 To explore new homes in Delaware by Montchanin Builders, we invite you to contact us for more information about our move-in ready condos, single family estate homes and custom houses. Call 302 655 2600 for more information about our exciting new Delaware communities. As the unofficial start of summer, Memorial Day is all about family fun, good food and relaxation. When you live at Darley Green, you’ll have spacious outdoor areas in which to set up your grill, but you’ll also have easy access to all that Wilmington, DE and the nearby areas have to offer. The whole family can enjoy cultural events, recreational areas and a slew of other nearby amenities. No Memorial Day celebration would be complete with events honoring the nation’s men and women in uniform. The John Bell House in Dover, DE – just one hour away from Wilmington – is offering Memorial Day events on Monday, May 30th from 9:00 am to 4:30 pm. Stop by the Legislative Hall to honor the sacrifices of Delaware’s military heroes and then join a guided tour of The Old State House on The Green. Dover’s Heroes of the Revolution Walking Tour is definitely a must for families; the tour meets at the John Bell House. If you prefer to stay closer to home this Memorial Day, stop by the Hagley Museum and Library. They are offering free admission for military veterans on the 30th. View the gunpowder works founded in 1802 and catch a demonstration of the only operating black powder roll mill anywhere in the country. The kids are sure to be fascinated by the black powder explosion demonstrations. 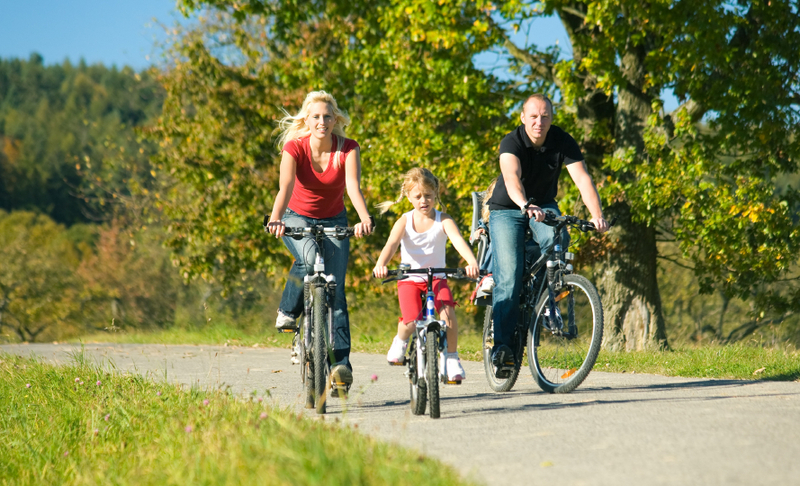 Get your family active this Memorial Day weekend by heading out to Brandywine Creek State Park. It’s open daily from 8:00 am until sunset. While there are no specific events planned for May 30th, you can bring your kids there on Saturday, May 28th for the Spring Hiking Series. Join a Naturalist on the trails, enjoy the beauty of nature, and learn cool facts about your surroundings. The Spring Hiking Series is ideal for younger kids; although the hike is only about one mile, expect it to take two hours. After a day enjoying the sights around downtown Wilmington, bring your family to The Creamery in Kennett Square. Although The Creamery has a history dating back to 1902, it’s recently been reopened for the summer of 2016 as a pop-up beer garden. The Creamery is housed in a beautifully up-cycled facility and features food for all ages, smoothies, craft beers, and lawn games for the family. Darley Green epitomizes modern luxury living in Delaware. If you’re ready to enjoy all that Wilmington, DE has to offer, but want the benefit of living in a masterfully designed community, then Darley Green has a home site ready and waiting for you. Montchanin Builders is a premier homebuilder, focusing on the seamless integration of modern architecture, pristine landscaping, and worry-free living. Of course, location is everything when purchasing a new home in Delaware. At Darley Green, homeowners not only have easy access to all that downtown Wilmington has to offer; they’re also just a short drive away from the sights and sounds of Philadelphia. Contact Montchanin Builders today to discuss our move-in ready townhomes and condos. Ask us about getting $15,000 toward the purchase of your new home!